In 2016, the World Agroforestry Centre (ICRAF) East and Central Asia office (ECA) has made significant progress on gender and climate change research to inform policy makers in China’s Yunnan Province. First, ICRAF-ECA has recently been investigating how gender affects climate change adaptation throughout Yunnan. This Poverty and Vulnerability Analysis China Gender Report will be published as a working paper before the end of this year. It is a part of a wider initiative investigating how gender has influenced climate change adaptation throughout the Hindu Kush Himalaya (HKH) region, conducted by the International Centre for Integrated Mountain Development (ICIMOD), which includes Nepal, Pakistan and India. All research teams involved in this initiative used the Livelihood Vulnerability Index, developed by Hahn in 2009. 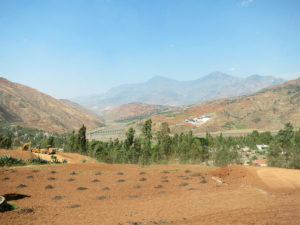 Preliminary results show that climate change has severely affected Yunnan Province and that few interventions have tried to better prepare local communities for future changes in livelihoods, water availability and natural disasters. It seems that most households are extremely vulnerable and have few resources to support short or long-term mitigation efforts in response to climate change. In this context, gender is one of the factors in predicting adaptation and vulnerability. Additionally a paper on gender-specific responses to drought in Yunnan Province is currently being revised in line with comments received from journal reviewers. This paper reveals that during the period of record-breaking drought from 2009-2012, women’s changing role in agriculture and household resource management had important consequences for individual and community responses to water resource stresses. Perceptions of drought impacts and of responses to the drought differed significantly according to gender. However, government policies and practices which aim to support adaptation and adaptive capacity have so far failed to take this gender differentiation into account, and as a result may be out of step with local drought responses, and may even serve to further marginalize mountain women in water resource management. Finally two Chinese language book chapters about gender and climate change adaptation will be included in the book “Gender analysis of climate change impacts and adaptation” (in Chinese), also to be published this year. A workshop is planned before the end of the year in Yunnan to disseminate the book among government officers and discuss relevant research findings and policy options. The project ‘Conservation for diversified and sustainable use of fruit tree genetic resources in Central Asia’ aims to improve the prospects for long-term food security and livelihoods of farmers in Kyrgyzstan, Tajikistan and Uzbekistan. Its focus is on generating and disseminating knowledge about fruit and nut tree species, including traits that are important for adaptation and nutrition, their patterns of genetic diversity and how to effectively conserve them. As primary users and custodians of fruit trees, both women and men play a key role in the management, conservation and transfer of fruit tree resources to future generations. Understanding gender-specific practices, knowledge and perceptions related to forests and trees as well as associated gender-based constraints in their management is essential to co-develop, with local forest managers, equitable innovations in the management of fruit tree genetic resources. 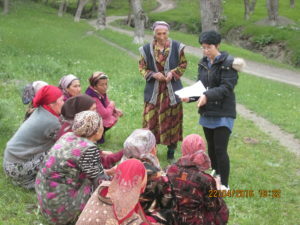 In September, national research partners in Kyrgyzstan, Tajikistan and Uzbekistan havecompleted a set of participatory research activities and interviews in project sites to explore gender-specific forest and fruit-tree-related knowledge, practices and interests. Semi-structured interviews focused on the state’s role in forest management have been conducted with staff from 20 Forestry Enterprises (national forest management units). In parallel, 390 semi-structured interviews have been held with local men and women who manage fruit trees in their home gardens to understand resource management decisions and sourcing of planting material. The focus was on varieties of apple (Malus spp. ), apricot (Prunus armeniaca) and walnut (Juglans regia) grown. Finally, 26 focus group discussions on local fruit tree management practices have been held with forest dwellers in separate women’s and men’s groups. Data are currently being cleaned and translated into English. Results will provide guidance on how to foster the equitable participation of men and women in the management of fruit tree genetic resources in home gardens and forests. 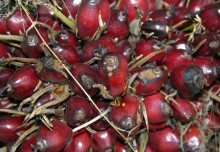 They will also help identify strategies for promoting the use of ‘wild’ (forest-based) fruit and nut tree genetic resources in home gardens; for addressing threats to wild populations of fruit and nut species; and for capturing opportunities for sustainable use and conservation of wild fruit and nut tree populations. Institute of Horticulture of Tajik Academy of Agricultural Sciences. 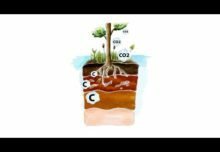 The project is coordinated by Bioversity International with financing from the Government of Luxembourg and with co-funding from the CGIAR Research Program on Forests, Trees and Agroforestry. The research on gender, tree uses, and decision-making patterns among shade coffee producers in Tuma la Dalia, Nicaragua has made some progress. 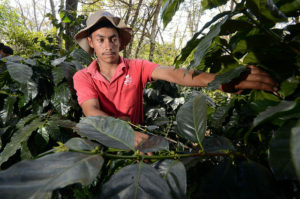 Research suggests that coffee agroforestry producers in Latin American countries derive significant commercial and subsistence value from the non-coffee products of the agroforestry system, for example, timber, fuelwood, and fruits. 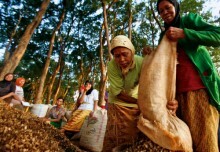 However, there is a lack of consideration of gender aspects within the research, for example, how uses derived from the agroforestry system may vary between men and women producers. Analyze how men and women value and use trees on farms. Understand the role of men and women in the decision-making process on the use and management of trees. The research results shall support the development of gender-sensitive climate change interventions focused on high value tree crops. 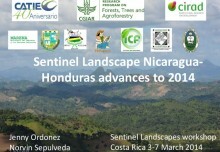 CIAT partners with the Fundación para el Desarrollo Tecnológico Agropecuario y Forestal de Nicaragua (FUNICA). Findings suggest that women perceive more household uses of farm trees than men. Furthermore, women may be more prone to giving more importance than men to fruit trees than those used for timber. Results also demonstrate that although men tend to dominate decision-making processes, women and men both participate in decision-making on harvest sales and how to use income. 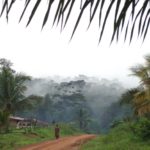 The social and environmental effects of large-scale agricultural investments in forested landscapes have been extensively documented and debated in public and scholarly spheres, compelling a reassessment of investment policies and rural development plans, agrarian reforms, and regulatory safeguards on the part of host governments and the donor community. While land deals come with promises of economic prosperity, studies suggest that their negative externalities have disproportionately impacted resource-poor groups, including women and landless farmers. 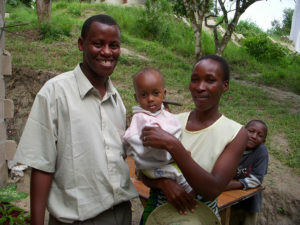 Within the vast literature on large-scale land acquisitions, or “land grabs”, there has been relatively little research systematically documenting mediating factors that affect rural women and men in the process of agribusiness investments or how different outcomes might be realized under more smallholder-inclusive investment models. This research contributes to CIFOR’s gendered research agenda by examining the ways in which women and men are differently affected by agribusiness expansion into forested landscapes of Tanzania. How do factors such as tenure regimes, institutional context and norms, market conditions, financial and other types of capital, intra-household relations, or other social practices mediate the ways in which women and men are differentially integrated into investor supply chains? How are feminine and masculine domains reinforced, restructured, or renegotiated as a result of inclusion or exclusion into different investment modalities? Concerns over gender equality and women’s empowerment are increasingly considered in climate change policy at the global level. There are currently over 50 UNFCCC decisions that support gender integration in climate policy, including the two-year Lima Work Programme on Gender (LWPG). 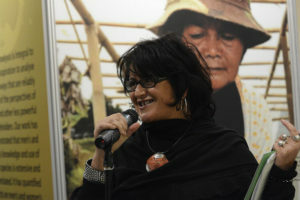 The LWPG was initated at COP20 in Lima 2014 with a two-fold objective: enhancing the gender balance of the UNFCCC negotiations; and achieving gender-responsive climate policy. However, while there now is a clear global mandate to develop and implement gender-responsive climate policy and action, these commitments are often not evident in national climate policies. For instance, only 40% of the Intended Nationally Determined Contributions (INDCs) submitted to the secretariat before COP21 in Paris made any references to women or gender. In the instances such references were made, they often served to paint a rather generalized picture of women as ‘vulnerable populations’. 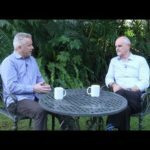 The focus of COP22 will be on the implementation of the Paris Agreement: How are the Parties to the Agreement going to deliver on the promises made in Paris? This year’s COP also marks the end of the two-year LWPG. Parties and observer organizations have thus been urged by the UNFCCC Subsidiary Body for Implementation (SBI) to share experiences and views to guide the possible continuation and enhancement of the program. Given the gap between the global commitments to gender-responsive climate policy and their systematic implementation on a national level, it is of crucial importance to highlight and assess some of the existing attempts to address gender issues in climate policies. Towards this end, the gender integration team is partnering with a wide range of organizations to bring together a high-level panel at the Global Landscapes Forum 2016 in Marrakesh on Wednesday November 16th. The focus will be on translating these global commitments into national and local actions. Partners are UN Women, UNDP–UNEP Poverty Environment Initiative, Overseas Development Institute (ODI), Global Gender Climate Alliance (GGCA), International Union for Conservation of Nature (IUCN), Women’s Environment & Development Organization (WEDO), African Women’s Network for Community Management of Forests (REFACOF). Together with the same partners, we are also convening a skills share session at the GGCA Innovation Forum on Saturday November 12th, as well as a side-event at the UNFCCC COP22 (green zone) on Monday November 14th. The above sessions will delve into the national processes of drafting and implementing gender-responsive climate policy. Particularly, the panelists will explore the role of multiple stakeholders – ranging from advocates and practitioners to researchers and donors – in supporting such processes. The sessions will further investigate if, how and when ‘gender-responsive policies’ actually enhance gender equality and women’s empowerment on the ground. Participants will be invited to share achievements and challenges of drafting and implementing gender-responsive climate policy and action thus far, thereby fostering South–South learning of good practices. The sessions will also provide an opportunity to deliberate over a minimum set of standards that countries could follow to ensure that commitment towards addressing gender equality are firmly rooted in national climate policy and action and that mechanisms for accountability, monitoring and continuous learning are in place. What is the Global Wetlands Map?